Wen (lipoma) is an agile and soft bundle, which consists of adipose tissue. In most cases, the size of the lipomas ranged from 1 to 5cm in diameter. Sometimes it reaches 10cm. Usually the lump does not cause pain or discomfort. There are several methods of removing Wens. - choose the best option of removal of lipoma. Keep in mind that the white bumps appear as women and men. They are located in different parts of the body. You can detect the trouble on the face, head, back, shoulders, hips, etc. In most cases, they occur in the subcutaneous tissue. In some cases, they may appear in the kidneys, in the abdominal cavity, in the lungs and mammary glands. If you have a lump, go to the doctor. After the inspection, he will tell you about further actions. Usually small white bumps cut out, and see. However, if the lipoma starts to grow and causing inconvenience, it should be cut. If you feel the slightest discomfort, make a repeat visit to the doctor. Most likely, he will advise you to get rid of lipomas. Remember that removing the lump should be performed only by professional doctors. Do not attempt to deal with the problem. As a rule, lipomas cut out under local anesthesia. In rare cases, you may need General anesthesia. Surgery is performed under local anesthesia. With a scalpel, the doctor makes a small incision, pushes the contents of the lump and clean the capsule. In addition to the traditional surgical method, there are radio wave, laser and puncture-aspiration methods. Radio wave method is ideal for removing small white bumps. The procedure is bloodless and has no postoperative complications. It is performed under local anesthesia. The operation lasts 20-30 minutes. The rehabilitation period does not exceed 4-5 days. In addition, this method does not violate the disability and do not require sutures. The wound heals without scarring. 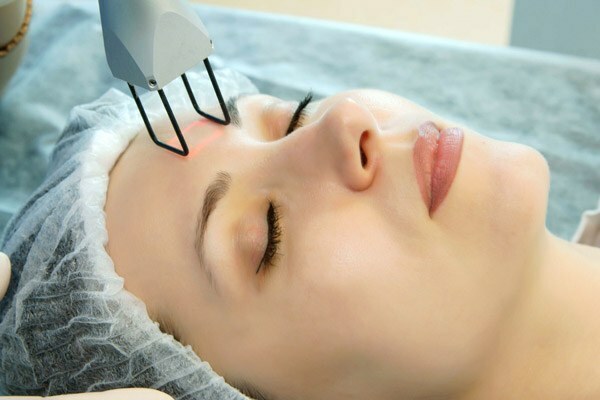 Laser surgery is also performed under local anesthesia and leaves no scars. The wound after the procedure heals quickly. This method is great for removing Wens on the face and other exposed parts of the body. In 7-14 days the wound does not remain also a trace. Puncture-aspiration method is carried out using a special needle that is inserted into the tumor and remove its contents. Discuss with your doctor the possible techniques for removal of fatty lipoma. Select the most appropriate method to remove the lipoma. Remember that in order to prevent the necessary preventive check-UPS every 6 months. Conduct ultrasonic examination or x-rays. Data diagnostic methods will help to identify the tumor.